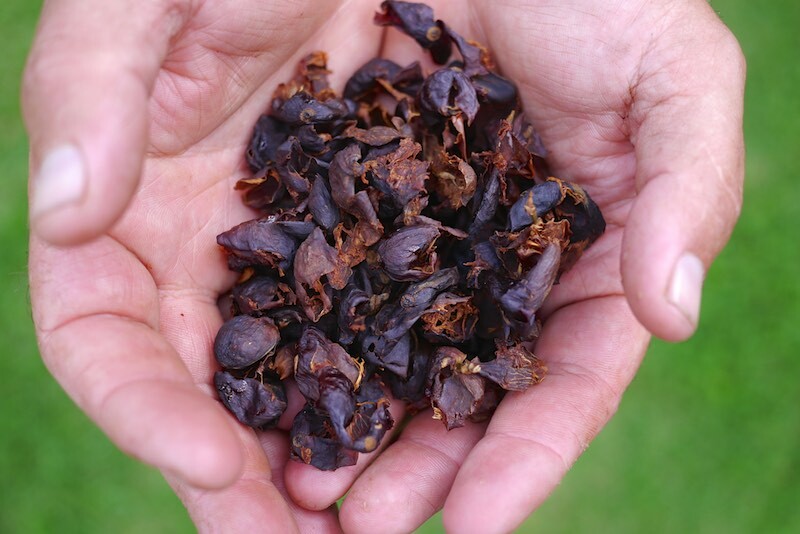 Cascara is a drink made from the outer berry of a coffee bean – a byproduct of the coffee harvest, and a tasty drink unto itself, as we’ve recently learned. 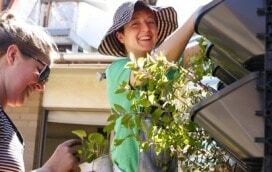 Coffee trees are an unlikely but awesome backyard plant that can be found in many community gardens in Sydney these days, including the 107 Rooftop Garden in Redfern. 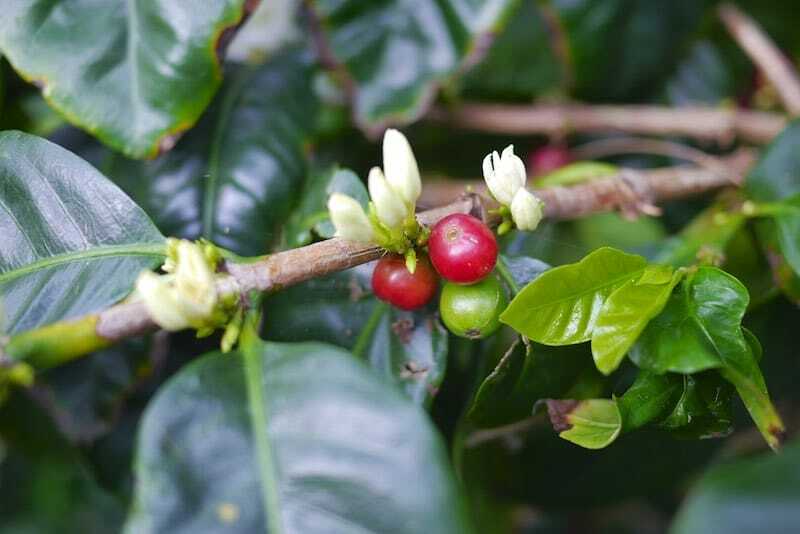 Each Spring, the coffee flowers and then puts out bright red berries in great sprigs by November – beautiful against the dark green foliage. 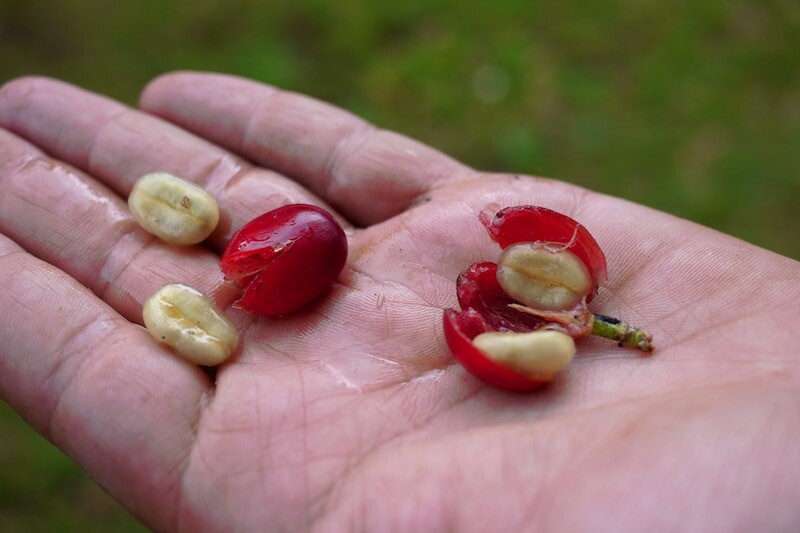 Within each of these bright red coffee berries is the green coffee bean, encased by a husk, and the red outer berry. 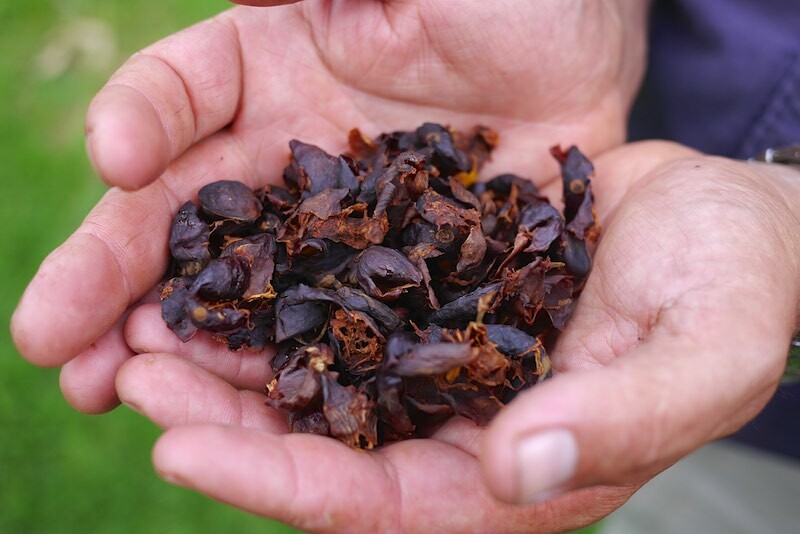 The outer berry flesh is the cascara (which means husk in spanish) – and it is delicious and sweet, straight off the tree. It is then dried, to make cascara tea. 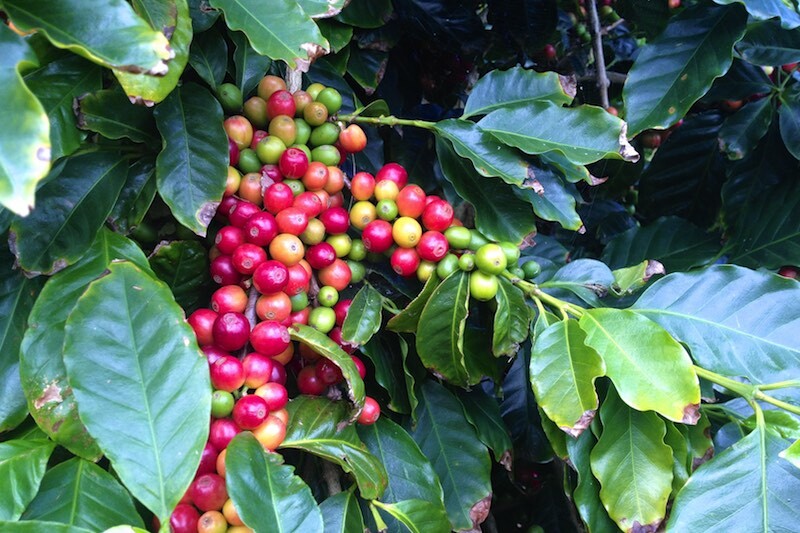 Have a go at harvesting it if you know of a friendly coffee tree and learn to make the most of this excellent byproduct. 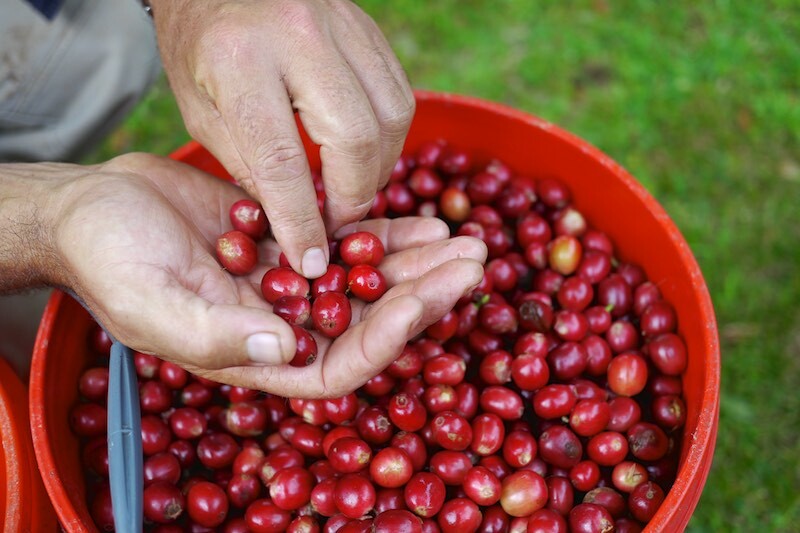 At a small scale, folks tend to pulp, or separate the coffee bean within from its outer parts, by smashing the berries with a tamper (a piece of un-treated wood is fine) in a bucket until the beans separate from the berries. By adding water and stirring, the cascara then rises to the top of the bucket and can be separated off. 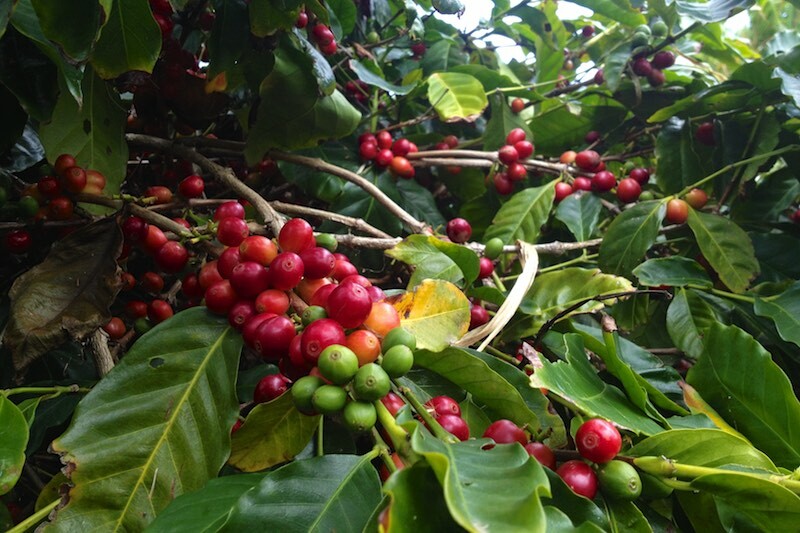 The coffee beans fall to the bottom. 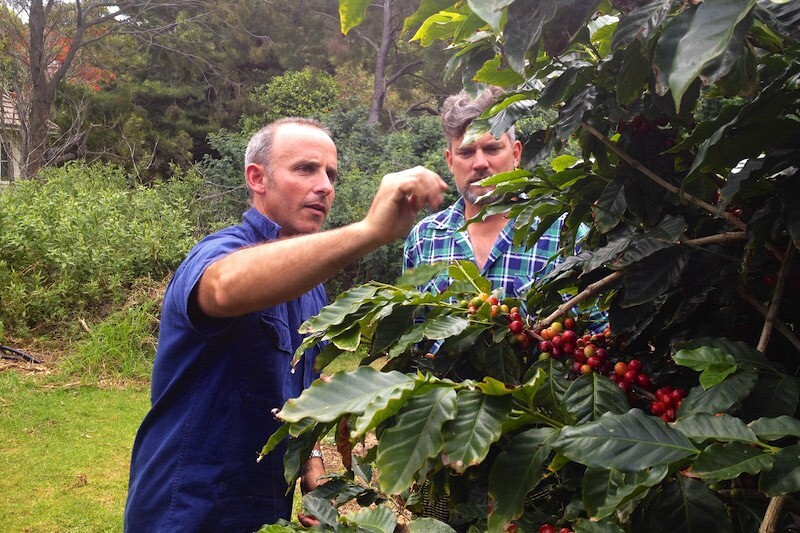 Following on from this step, the coffee beans are dried, then fermented and roasted. But that’s the beans. We’re talking about the cascara! 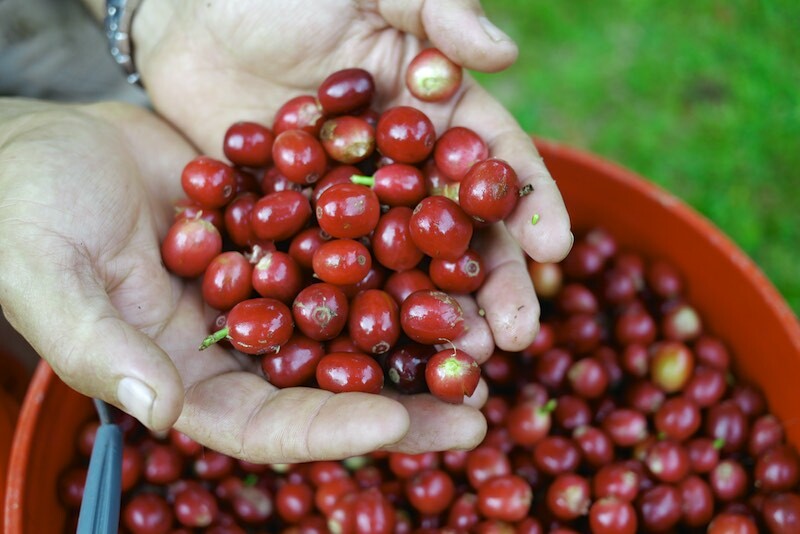 Following the pulping process, the cascara can be simply dried, and then you’re ready to make this delicious tea. There’s many ways to make cascara tea – some folks simply pour boiling water over it and let it steep for several minutes, some use a french press, some extract it. 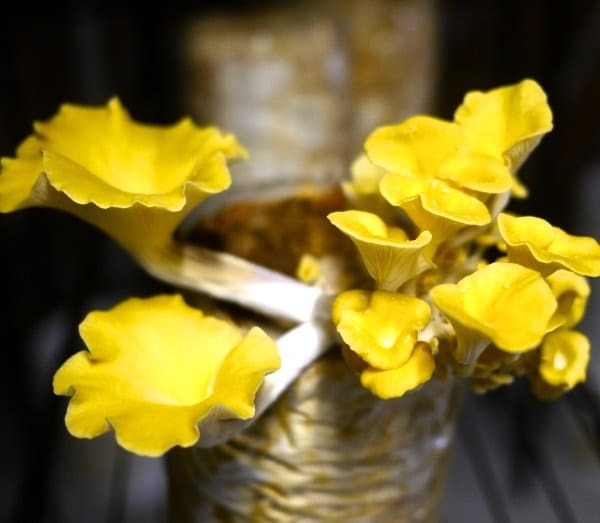 The taste is slightly like rooibos – tangy and awesome. It’s slightly caffeinated, but nothing like the kick of coffee. 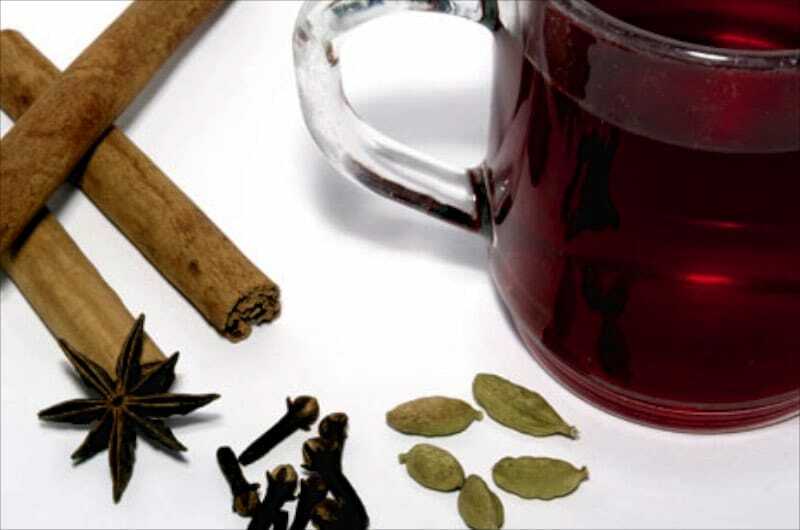 Traditionally, this is a thirst quenching pick-me-up drink, served to travellers upon arrival. It’s good anytime, in my book. 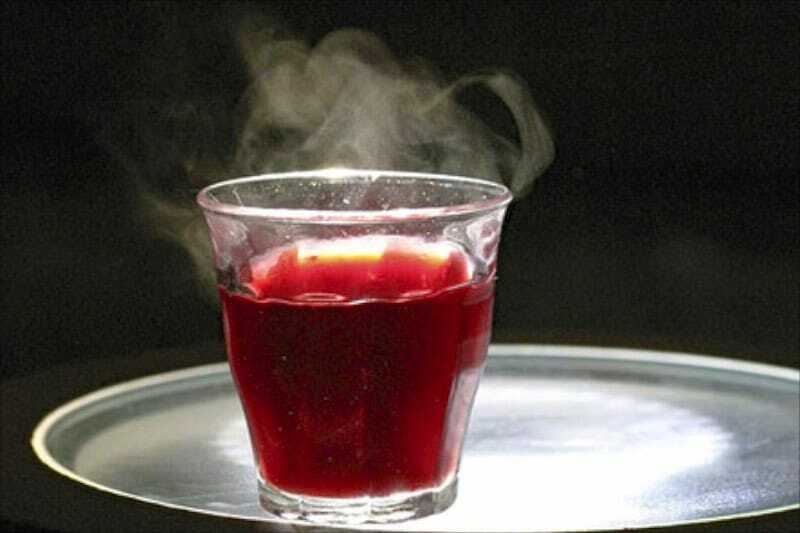 In Yemen, the drink made from cascara is called Qishr, in Brazil it’s called Sultana – and it’s delicious. Our favourite way to drink cascara is as qishr, the traditional yemeni way to drink cascara – sometimes coffee is substituted if cascara is not available. 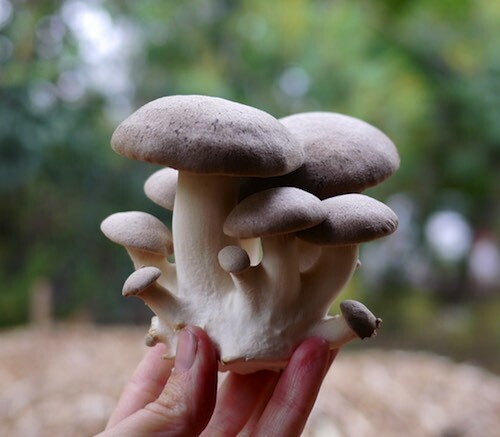 Put all ingredients but the sugar in a small stovetop pot, like a briki or just a small saucepan, and bring to boil – simmer for 5 minutes, strain, add sugar to taste, and serve. Ok so apon doing a bit of research, it appears that cascara may be a thing, in the way that foraged cocktails is also a thing. 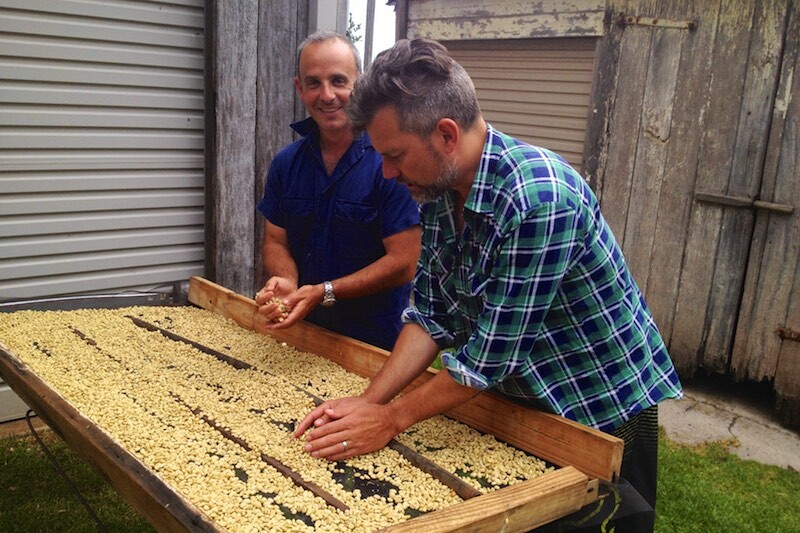 Also our mates at Buena Vista Farm run Bean to Barista Coffee Days in their small coffee grove, where you can learn about and taste coffee from berry to cup (including cascara). 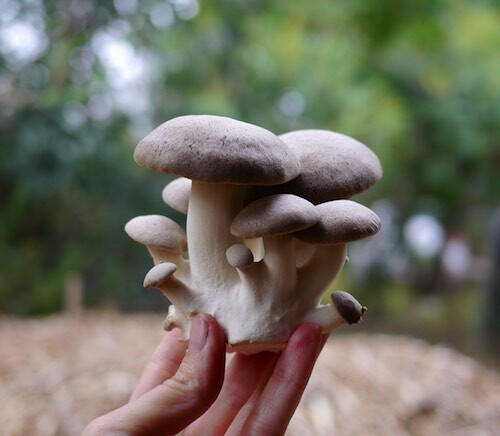 All up, some pretty good uses + recipes for a by-product of the coffee making process, wouldn’t you say? We love this stuff. 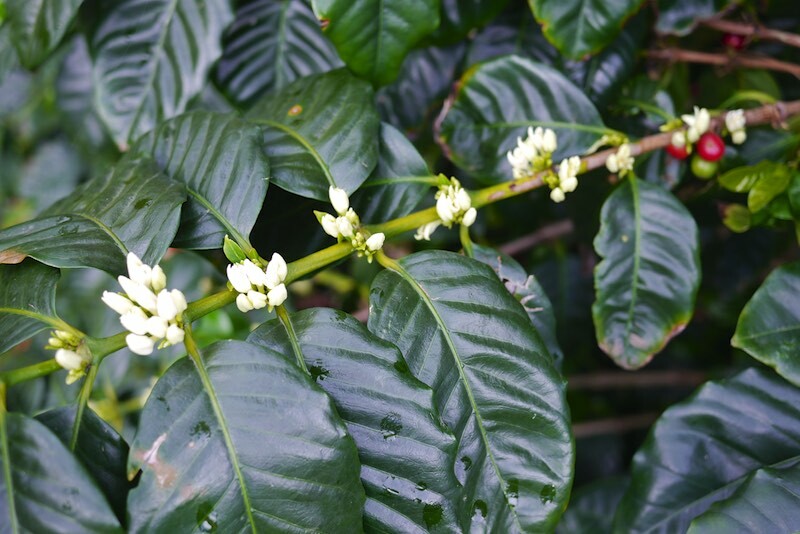 The coffee plant is a great addition to consider for any frost-free forest garden as an understorey – and in a small-space situation like the 107 rooftop garden it works well too. Do you make cascara tea? How do you make yours?